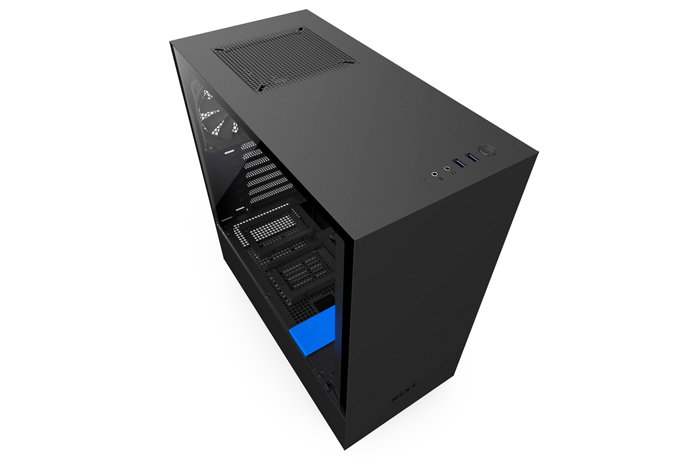 NZXT has launched its H500 and H500i mid-tower chassis designs. 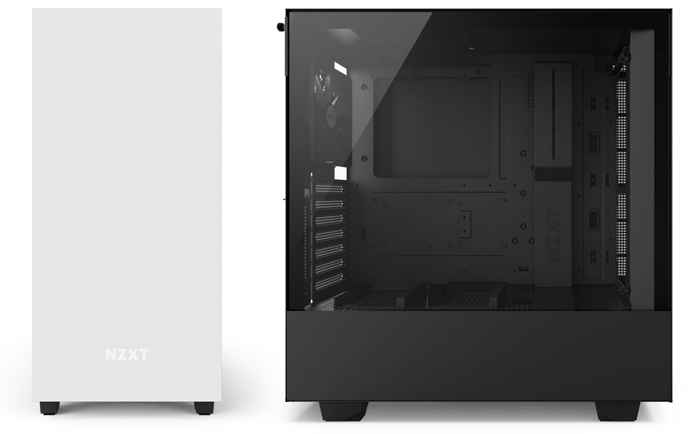 These products take the H-Series design language forward to cover more form factors, says NZXT. 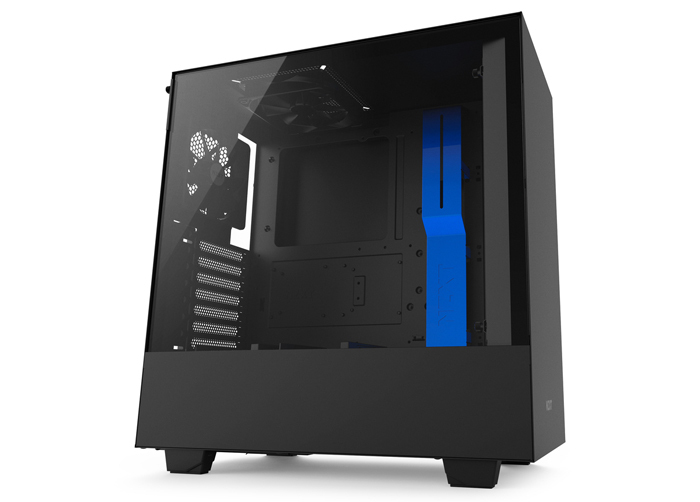 Those who appreciate the NZXT design ethic will like the modern minimal design with four subtle colour combinations and a tempered glass side panel. Inside you shouldn't be disappointed with modern builder-friendly features such as intuitive cable management, quick-release SSD trays, and easy water cooling installation. These chassis are constructed from SECC steel and tempered glass. Filters are supplied for the right side, bottom front, PSU intake and top exhaust. As mid-towers they measure W: 210mm H: 460mm D: 428mm and weigh in at 7kg. Users can fit motherboards as big as full ATX or choose Micro ATX or Mini ITX. Top I/O ports include 2x USB 3.1 Gen 1 Type A, and 1xAudio/Mic. Expansion is facilitated by the provision of 7x back panel slots, bays for 2+1x 2.5-inch and 2+1x 3.5-inch drives, CPU coolers up to 165mm tall, and GPUs up to 381mm long. With respect to cooling peripherals, you can fit front radiators up to 280mm and rear radiators up to 120mm. Fans can be fitted as follows; 2x120mm/2x140mm in the front, 1x120mm/1x140mm top, and 1x 120mm at the rear. NZXT supplies two of its Aer F120 1200 ± 200 RPM rifle bearing fans pre-installed in top and rear positions. Colour options for the new chassis are; Matte White, Matte Black, Matte Black and Red, and Matte Black and Blue. Pricing is H500 = UK£69.99 inc VAT, and H500i = UK£99.99 inc VAT. Expect availability before mid-June, NZXT told HEXUS in an email. Buyers get a two year warranty. and still no 5 1/4 inch drive slot. i know a lot of people dont use dvd or cd writters anymore but a lot of people still like to use a fan controller. hence for me it's a nice case but would I buy it ?…… Nope!